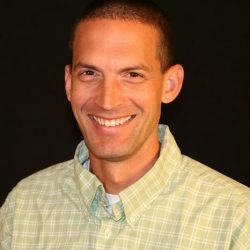 Jeff Isaacs returned to the church of his youth in January, 2008 to serve as the Preacher at Riverlawn Christian Church in Wichita, Kansas. Prior to that he was in youth ministry for 13 years across town. He has been married to Jennifer for 21 years and together they have four boys: Caleb, Joshua, Elijah and Ezekiel (adopted from Taiwan in 2010). Jeff fills his free time by spending time with his family, obsessing about Jayhawks basketball, and dating his wife.